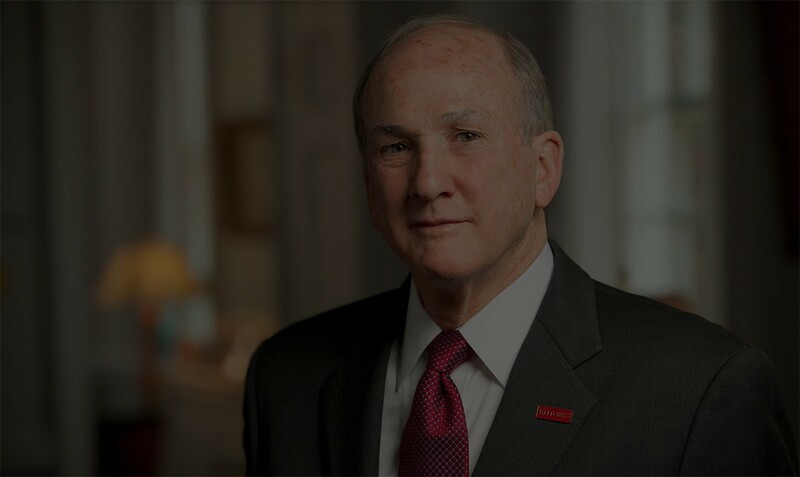 When Rutgers University completed its first-ever billion-dollar campaign, it partnered with us to help tell the story about how that money would be used and thank the community for its overwhelming generosity. The State University of New Jersey, Rutgers has more than 65,000 students, 24,000 faculty, and multiple campuses around the globe. Additionally, with the completion of its first campaign and joining the Big Ten Conference, Rutgers wanted to celebrate this pivotal moment in the school’s history as it ascended to the next level. After raising more than $1 billion in its latest campaign, the University needed a way to thank donors for their generosity, explain how the funds would be used, and celebrate this monumental period for the school. 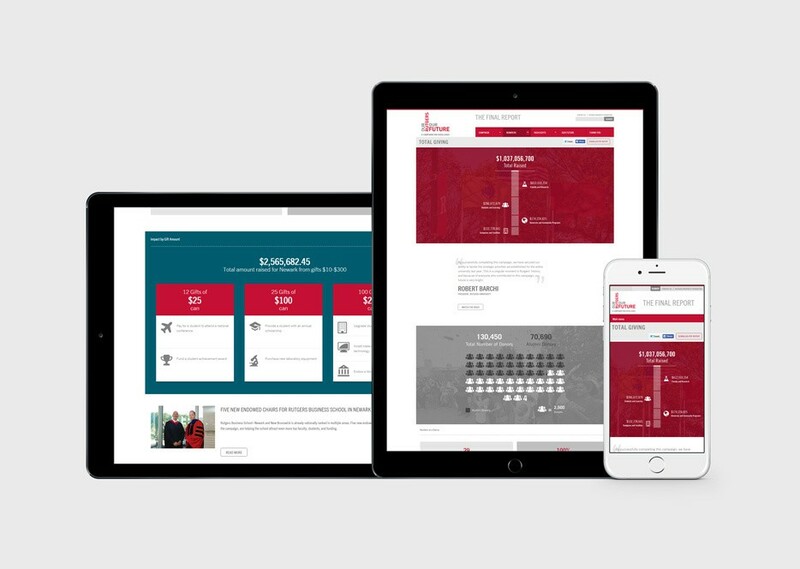 With a very aggressive timeline, we worked with Rutgers staff to find creative ways to thank the more than 130,000 donors and show the massive impact the campaign would have on the future of the school. We quickly created areas for donor stories, a “reverse honor roll” for recipients to express gratitude, and infographics to show how campaign priorities were funded across the various campuses. 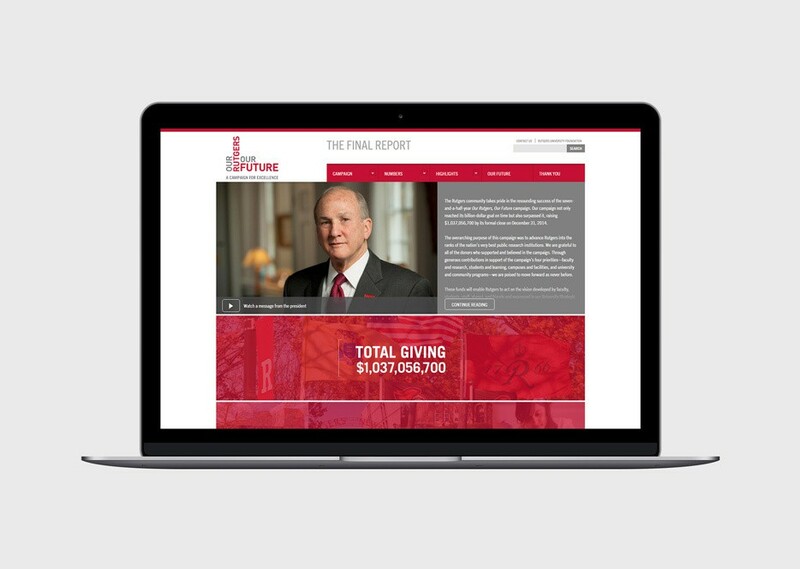 The Final Report website launched on a flexible and responsive site that included multiple infographics; interactive maps showing donors and recipients by NJ county; more than 100 donor stories filterable by priority and campus location; a “Reverse Honor Roll,” showcasing scholarship and funding recipients; and an original video production featuring Rutgers President Barchi.